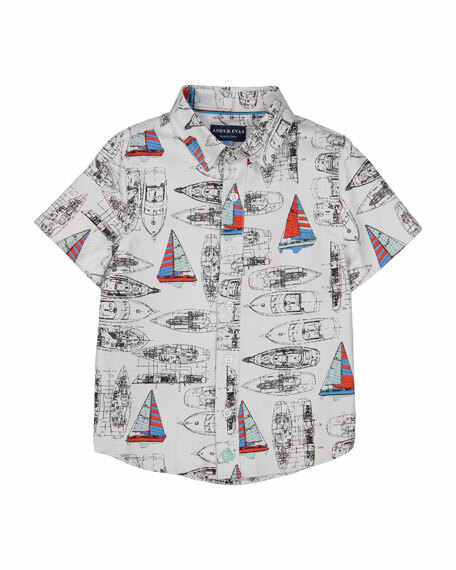 Andy & Evan shirt in allover vintage sailboat print. 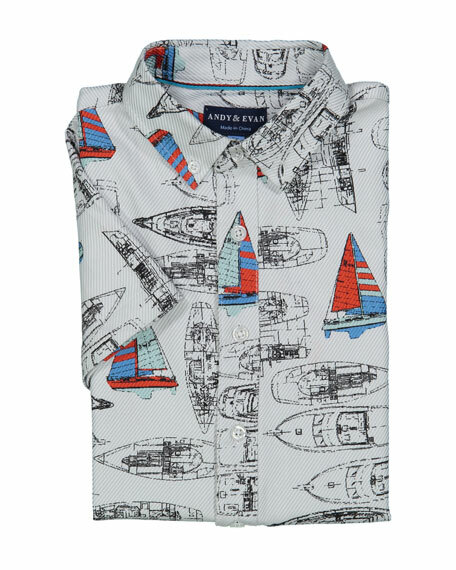 Starting as a men's tailored shirt company in 2009, Andy & Evan noticed the marketplace was missing well-made, tailored, yet practical and fashionable clothing for boys. The Andy & Evan's little gentlemen collection is based on Andy & Evan's knack for design, creativity, and attention to detail. For in-store inquiries, use sku #2555523.